The National Highways Authority of India (NHAI), which had cancelled the Dec. 6 tender for six-laning of Bengaluru-Mysuru Expressway, has now called for fresh tenders for which Apr.4 is the deadline. The reason for cancellation of the earlier tender, it seems, was to implement a new model called ‘Hybrid Annuity’ instead of the earlier ‘Design, Build, Finance, Operate and Transfer’ (DBFOT) model. Reason for choosing the new model is because in the earlier DBFOT model, the successful bidder bore the entire project cost (minus land acquisition) but the Hybrid Annuity Model will involve NHAI funding 60 percent of the cost and the partner bringing in the balance equity. This is expected to increase the bids and number of players which could deliver good roads faster. 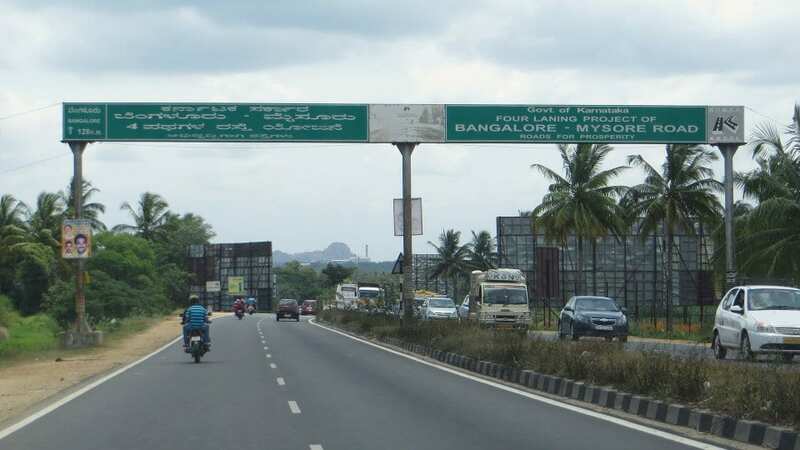 Also, the NHAI has divided the road work into two projects, one of 56.2-km between Bengaluru and Nidaghatta and the other 61.1-km between Nidaghatta- Mysuru. Interestingly, the 117-km project is now costing Rs. 4,153 crore which is Rs. 342 crore less than the earlier estimation. NHAI said the reason for splitting the project is to get the work completed faster as two developers will simultaneously start work from both ends. The Expressway, which is expected to be commissioned by 2020, will have 10-lane Highway (HW) and the travel time between Mysuru-Bengaluru from Columbia Asia Hospital junction to NICE Road will be just 90 mins. Blunder at the Oscars ! Unwanted wastefull expenditure, there is no neeed for a 10way lane expressway between bangalore and mysore. Bangalore and mysore a 2 very well connected cities. There r soo many places where there r no proper roads and lack better connectivity. I beg the government of state and center to stop this wasteful expenditure of public wealth. Roads are one of the sign of prosperity. Now between Mysore & Bangalore journey is 3hr. If project has been implemented we can save the time and fuel. Anna roads are good if it is constructed now…It will help our economy to grow. Now you will feel both cities are connected well. I will tell you something, do you know that when the govt. Started the metro projects in many cities people were talking like you but now everyone loves metros. Developing improves the Infrastructure, which has to be given with first priority. Same goes with the Bullet train project. Government shouldn’t give things freely to poor people because as this continues the will demand more and more. They will become lazy. We will lose a large portion of the labour force. They will become selfish. This is how Venezuela’s economy deteriorated. If Infrastructure develops. Everyone becomes richer and richer. Then one day we will have less poorer people. This is the best way a country can become developed. The similar aspect of Mysore Mandakalli Airport, crores of rupees were invested in the project and the airport is nowhere into operations since the commencement took place. No proper vision and planning of our state government. Its been more than 2 year the lane of my house hasn’t been provided proper road and alignment. Upon querying the area corporator of NR Mohalla, the questioned bounced back, as did we vote him? The higher authority exhibiting no responsibility to the general public, rather than initiating latest idiotic laws and traffic rules, just in order to access more bribe. Priority is given to the Foreigners as “Athity Devo Bhava” . Wake up, what about the citizens’ human right. Until and unless routs through Mandya, Maddur Chanapatna exist no one will be accomplish 90 minutes dream, it happens only when these roads link to higher long flyover built between these cities to untouched and jump over from these villages, as we seen on these roads still if we pass looks like a Mondi Market congested road. Flyover would have been the better planning, and its no fun travelling MYS-BLR by road. You can see people coming with thier, Motorbikes, Cars, & Tracktors on oppossite directions using the wrong side, besides Mandi Market congestion can be avoided and less accident. Why not sort out the hindrances to NICE road and use the sunk costs to avoid additional expenditure elsewhere? Perhaps a very large extent of lands may be required. The high way passes through mandya like cities. This may not so easy. Perhaps some bye pass roads may be necessary. Is it not worth investing in metro rail which is already planned upto Ramnagar,can’t they extend till Mysore.that reduces no. Of vehicles and commute in between places also. Yes. its a good idea, but who will implement it. Only travellers of mysore road knows the pain of travel in this road. Bangalore city traffic is better compared to this traffic. It is better to explore possibility to clear the hurdles for nice road projects which is on the way instead of investing huge money for ten lane projects which is not at all required since Mysuru and Bangaluru cities are well connected with double track railway lane which can be used by running additional fast trains. Will Mandya farmers lay seize on this new highway too ?